This small version of the Olimpia features the style's characteristic geometric shape, crafted from soft Nappa and impeccably hand-woven. The squared front flap is fastened with a hidden magnet. Divided into two compartments and fitted with a zip pocket. 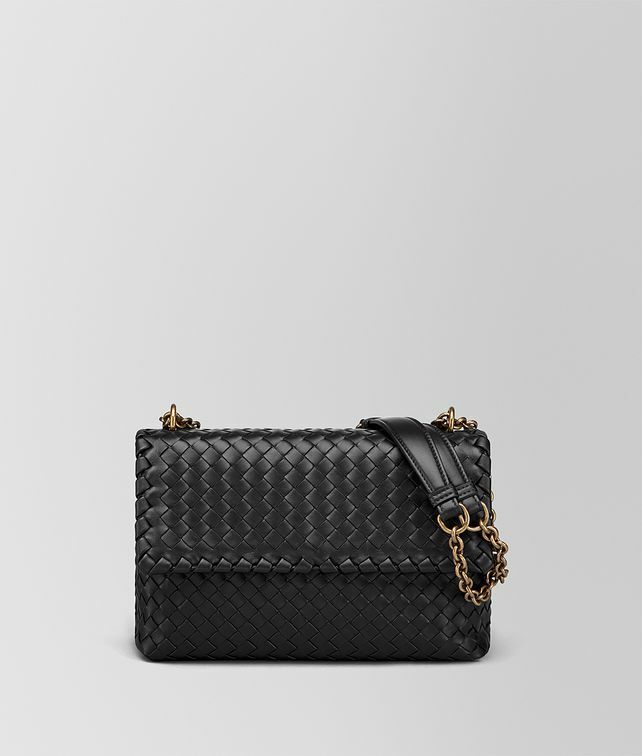 The adjustable leather and chain strap features an elegant dark-gold finish and a practical design that allows you to carry the bag by hand, over the shoulder or even cross-body. Height: 17 cm | 2.7""
Depth: 7.5 cm | 2.9""